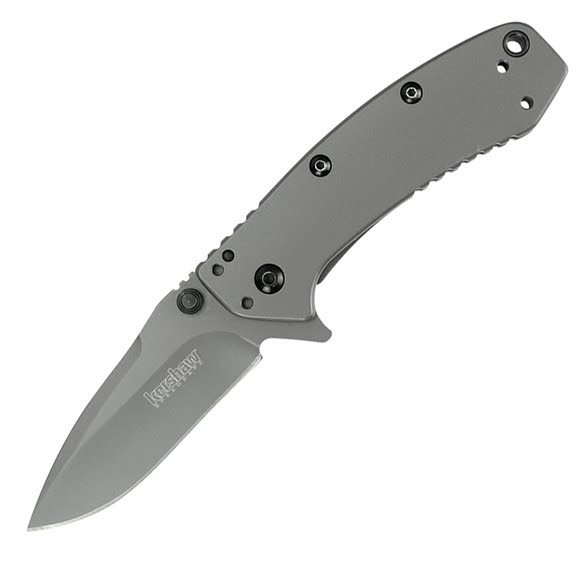 Kershaw's Cryo is built of pure stainless steel coated with matte grey titanium carbo-nitride for a no-fuss look that lets the design shine through. The Cryo is designed to be a sturdy knife that's still aesthetically pleasing and feels good in the hand. Kershaw&apos;s Cryo is built of pure stainless steel coated with matte grey titanium carbo-nitride for a no-fuss look that lets the design shine through. The Cryo is designed to be a sturdy knife that&apos;s still aesthetically pleasing and feels good in the hand. Locks the blade into position after the blade is deployed. To release the frame lock simply press the spring loaded lock and the blade will easily fold back into the handle. The user may position the pocketclip for tip-up or tip-down, left- or right-handed carry.